Since 2001 the Winning Poker Network has been one of the best networks for US players. They uniquely offer players the option of playing with Cryptocurrencies such as Bitcoin. The Winning Poker Network has submitted extensive information about the Winning Poker Network’s random number generator (RNG) to independent organizations like iTech Labs. We asked this trusted resource to perform an in-depth analysis of the randomness of the output of the Winning Poker Network RNG, and its implementation in the shuffling of the cards on Winning Poker Network. The WPN network has nearly 10 skins. 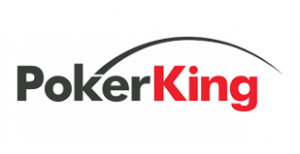 YourPokerDream partners with the three leading skins (Black Chip Poker, Americas Cardroom and PokerKing) to offer great VIP deals. All brands in the Winning Poker Network offer state-of-the-art software, unique player promotions, top-notch processing for both deposits and withdrawals, and unmatched customer service. The Winning Poker Network is one of the top 5 in the world and has a high volume of traffic from the US. This means that most players will be online when it is late evening in Europe. The US players are notoriously low-skill many players from Europe register there to play against easy competition, expecting to win big. Winning Poker Network hosts all known variants of poker, and has decent traffic on most limits nearly 24/7. Winning Poker Network boasts stable, modern and well structured software that has similar offerings to other leading online poker providers. A minor disadvantage is that it is only available in English. They offer incredible variety in types of games with a level of functionality not found in other Poker Rooms. For a full list of their functionalities, head on over to their site where you can read about: The Railbird, Avatars, Double or Nothing, Tournament Tickets, The Maximizer, Auto Buy-In, Spin to Get IN, Straddle Tables, Late Registration, Auto Top Up, Newest Software Improvements, Progressive Pay-outs, Preferred Seating, Raise Methodology, Multi-tabling, Syncronized Breaks, Hand for Hand, On-Table Tournament Statistics Display, On-Table In-the-Money Symbol, Final Table Graphics, Time Bank, and CAP Tables. Most operators on Winning Poker Network also offer Mac and Mobile versions, but there are a few exceptions. Since September 2018 the WPN Network began offering Short Deck Holdem Poker, also known as Six Plus Holdem. Check it out! Enumerating all the promotions on Winning Poker Network would take ages, but we can guarantee that the network offers the most promotions on the market with a variety tailored to different types of players. Don’t miss out on some of our favorites: Jackpot Spin & Go and Fast Fold Poker. 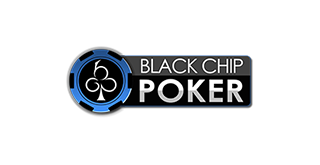 The rakeback offer on the Winning Poker network is impressive, especially at Black Chip Poker and PokerKing! YourPokerDream is one of the few European affiliates who can offer you an additional rakeback deal and even accept new signups from players! Sign up for Black Chip Poker, Americas Cardroom or PokerKing via YourPokerDream and receive exclusive extras and a special rakeback deal.